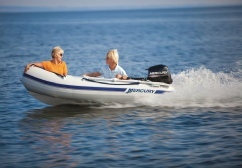 Mercury Inflatable Boats are easy on storage space, easy to transport and launch. 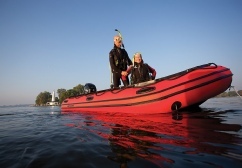 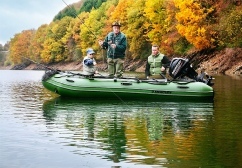 As a tender craft or as a go-anywhere boat, a Mercury Inflatable boat makes a lot of sense. 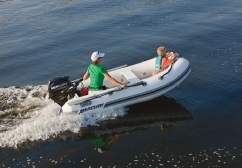 Strong enough to handle today's FourStroke outboards, these boats allow you to do anything you would traditionally do in a conventional craft - fishing, cruising, diving, skiing, tubing or wakeboarding. 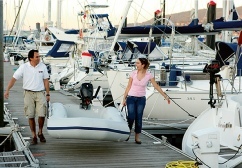 Most of our boats come ready for launch, complete with high-volume air pump, repair kit, oars, benches (when applicable), ample lift handles and grab ropes. 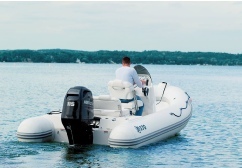 Add to that a lower center of gravity, great stability, multiple air chamber construction, and you've got a boat package that can't be beat. 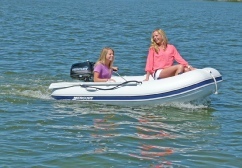 Available in rigid hull (RIIB) or soft bottom with a wide variety of sizes, styles and fabrics. 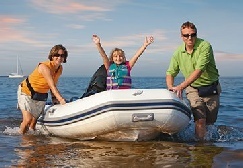 Call us for details and pricing.